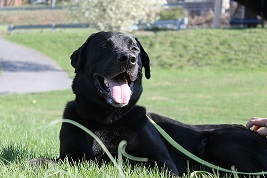 Sammy is a beautiful loving Labrador Retriever who is looking for a home! Do you know anyone who needs a great dog? Sammy is full of energy and love. He knows how to sit and he will happily give you his paw. He will be 4 years old on May 7th. The best birthday gift is to give him a home.